Next week I have a few fun DIY ideas for handmade holiday gifts — but in the meantime I thought I would share a few of my favorite DIY gifts from last year to get you in the crafting-mood! 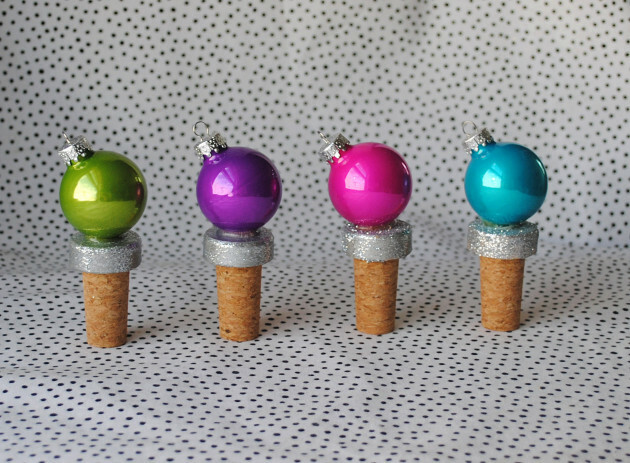 My favorite of these is the festive bottle stoppers, I gave them out as gifts last year and they were a hit — plus I still have a few hanging around that I plan on using for holiday entertaining! Do you have any plans for homemade gifts this year? Happy Thanksgiving! DIY Holidays: Mulling Spice Kit. One Response to "Handmade Holiday Ideas." Oh my goodness those bottle stoppers are simply adorable! I definitely want to try them out!